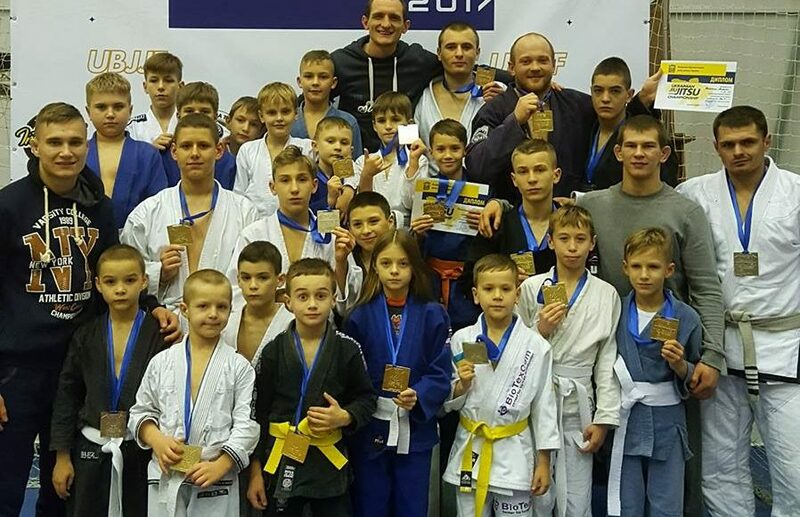 This weekend Ukrainian capital welcomed «Ukrainian Open Jiu-Jitsu Championship 2017». It’s one of the largest open Brazilian jiu-jitsu championships that are held annually in Kiev and organized by the Ukrainian Jiu-Jitsu Federation. Traditionally, it is held in Kiev and gathers a huge number of sportsmen from throughout Ukraine who compete for the champion title. Ukrainian fighters from SC “Borets” (Kropivnitskiy) were one of the main participants in “Children and juniors” category. Sportsmen of this club have demonstrated great fights! Rusnak Serhii got the 3rd place in 59 kg weight division. In turn, Krasovskyi Serhii has won gold in 63 kg weight division. Young sportsmen don’t fall behind of their older teammates and have showed great results as well, earning numerous medals! Ukrainian fighter has reached the IBJJF ranking!